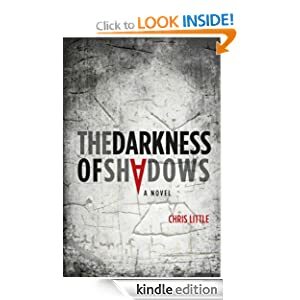 The Darkness of Shadows Chris Little . I love paranormal books and thought I’d like this. Sadly it wasn’t one for me. I found Natalie a strange person for the main character, I just didn’t get much sense of personality from her and couldn’t empathise with her and her situation. She had family problems, and a horrific childhood, with mother and grandparents now dead and her father around but hopefully away from her. She had good friends in the Guerreros, and they seemed to be her substitute family. I understood how she loved them and wanted to keep them out of danger. I got to about 50% in the book, but it seemed to be a confusing mix of events for me, and to be honest I didn’t have that sense of danger, that concern for Natalie that I needed so I ended skim reading to the end, and when I got there I was surprised it was the finish, there didn’t seem to be a sense of closure or anything. That could be because I’d missed vital info through my skim reading, but I just wasn’t interested enough in the plot and characters to read it thoroughly. That may be different for you – thankfully we all want different things from our reading which leads to a great selection of books. This one just wasn’t one for me. Stars: two – sorry, I’m sure the author worked really hard but it wasn’t something I enjoyed reading.